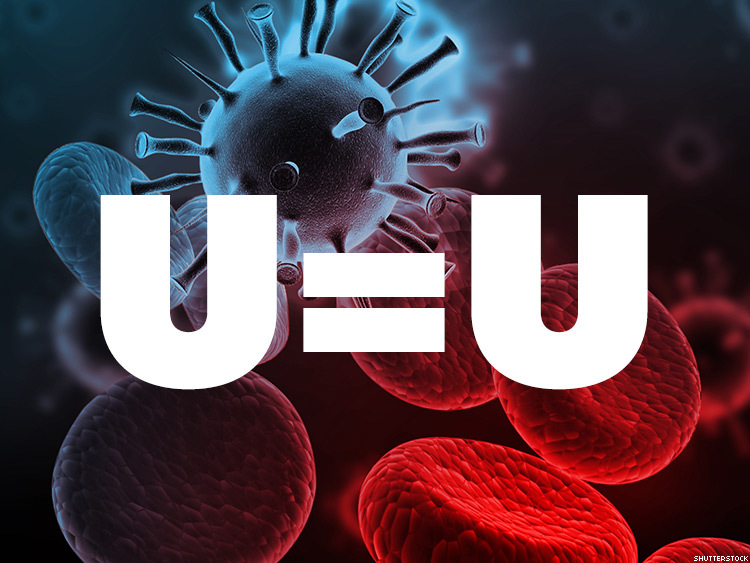 In a historic letter, the Centers for Disease Control and Prevention support the science behind "Undetectable Equals Untransmittable." In recognition of National Gay Men’s HIV/AIDS Awareness Day, the CDC memo stated, "On this day, we join together in taking actions to prevent HIV among gay and bisexual men and ensure that all gay and bisexual men living with HIV get the care they need to stay healthy." Gay and bisexual men, the CDC noted, continue to be disproportionately affected by HIV, with, "more than 26,000 gay and bisexual men received an HIV diagnosis in 2015, representing two-thirds of all new diagnoses in the United States, and diagnoses increased among Hispanic/Latino gay and bisexual men from 2010 to 2014." Although these findings are certainly disappointing, the letter's key paragraph is not. Noting that research has shown that antiretroviral therapy both keeps people living with HIV healthy and has a preventative effect, the CDC writes, "When [antiretroviral treatment] results in viral suppression, defined as less than 200 copies/ml or undetectable levels, it prevents sexual HIV transmission." In other words, having one's HIV suppressed to undetectable levels prevents transmission. Richman says congratulations are in order to "all the pioneering people and partners in the community and in the city, state, and federal health departments who worked together to ensure the messaging is aligned with the science and make this change. What a beautiful moment! The CDC’s new language is a result of [the U.S. Department of Health and Human Services’] review of viral suppression and HIV transmission messaging across departments which will be rolling out in the coming weeks and months." Richman, whose Prevention Access Campaign has led the advocacy and educational effort around the Undetectable=Untransmittable message, points to the other people living with HIV, who "have been leading the way for this change here in the U.S. and around the world. Our experience as part of the review process and as early as last summer with HHS, [National Institutes of Health], and CDC has been productive and positive even when the gaps in our positions seemed wide. We appreciate their commitment and decisive action to follow the data during a time when our health and human rights have been continually under assault." At this year's U.S. Conference on AIDS, Richman notes that Dr. Anthony Fauci, head of the National Institute of Allergy and Infectious Diseases, "confirmed 'the science really does verify and validate U=U (Undetectable = Untransmittable)' in follow-up to his statements at [the 2017 International AIDS Society] in Paris." Now, Richman adds, "It’s time to make history and share this news!" He calls on other HIV, LGBT, and sexual and reproductive health organizations to join "nearly 400 organizations from 56 countries that have signed on as part of a growing and vibrant U=U Community Partner network. Resources on U=U messaging in the U.S. and around the world as well as the related issues of HIV criminalization, social determinants of health, and unequal access are on our website."